We all know the calcium story and how taking sufficient calcium can help to build bones and prevent bone loss with vitamin D3 helping to improve calcium absorption. But the story stops there after calcium is absorbed. 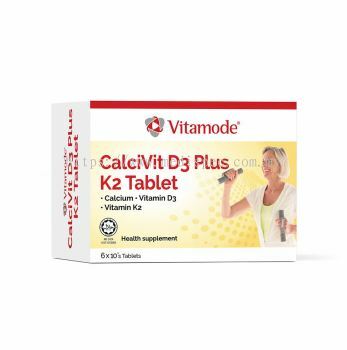 Nothing shows whether calcium reach our bones until recent scientific advances found a new vitamin called vitamin K2 that brings the calcium in our system straight into our bones and teeth. 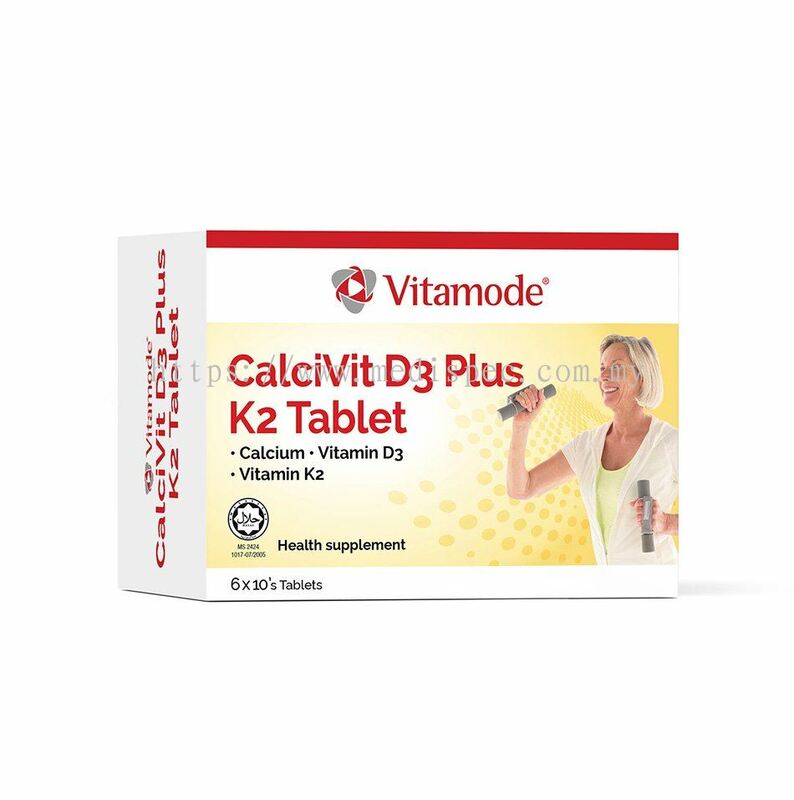 Vitamode® CalciVit D3 Plus K2 Tablet is the ONLY calcium product that combines calcium, vitamin D3 and vitamin K2 in one tablet. This winning combo makes calcium work by directing calcium to where they should be. Adult: Take 1 tablet twice daily, after food.